MELBOURNE, Fla.—Mid-tier electronics manufacturer MC Assembly has invested in new quality assurance and laser marking equipment from Keyence Corporation. The Florida-based company recently installed new 2000X 3D digital scopes, coordinate measuring machines (CMMs), and laser marking machines at its North American manufacturing facilities. The Keyence 2000X 3D Digital Scopes (VHX-950F) are described as “super-type” microscopes that help perform failure and critical analysis. The digital scopes are reliability tools that can deliver up to 500x the magnification, verifying that all printed circuit board layers have connections. They provide confirmation that each PCB MC Assembly produces meets its industry standards. MC Assembly installed the scope at its Melbourne, Florida, facility, as well as its Boston and Mexico locations. The Keyence XM Series computerized coordinate measuring machines, installed at its Boston and Mexico facilities, enable MC Assembly to perform critical measurements of fabricated metal parts. In addition to ensuring the accuracy standards required by clients such as the U.S. Department of Defense, the CMMs are also said to greatly reduce time spent during measurement. Adding this tool to its production has helped further the MC Assembly’s lean manufacturing efforts, the company said. 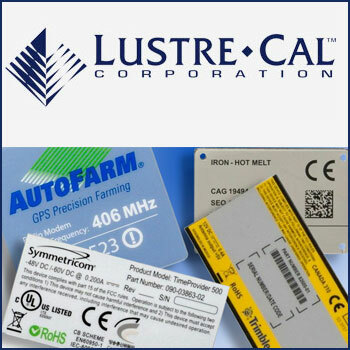 MC Assembly’s installation of a laser marking machine at its Mexico location allows for extremely accurate laser etching on printed circuit boards, thereby replacing traditional labeling. The laser marking machine is important to the company’s lean manufacturing practices due to the large output at the Mexico facility. In addition to its investment in new measuring equipment, MC Assembly was awarded a new contract by the United States Marine Corps (USMC) Logistics Command in Albany, Georgia, to fabricate and test a weapons control unit in support of USMC tactical ground vehicles. “We’re honored for the opportunity to support our United States Marines Corps and look forward to sustaining this protection system with the highest level of quality and reliability for many years to come,” said MC Assembly President and Chief Executive Officer George Moore, in a statement. MC Assembly is certified to AS9100, ISO9001:2008, and FAA quality standards. The electronics manufacturer also implements lean manufacturing processes. MC Assembly (www.mcati.com) is based in Melbourne, Florida, with additional operations in Billerica, Massachusetts, and Zacatecas, Mexico. The company provides turnkey services to original equipment manufacturers and focuses on assembly of medium volume, medium mix printed circuit boards assemblies (PCBAs), and box builds.